Clarence “Butch” Johnson, Jr, age 70, of Cornell, passed away peacefully, Monday, April 8, 2019 at UP Health Systems in Marquette. Butch was born November 14, 1948, in Port Huron, MI, the son of Clarence and Millie (Fleming) Johnson Sr. Butch graduated from Trenary High School. In 1966 he enlisted into the United States Marines spending 13 months in Vietnam and was honorably discharged 4 years later. He reenlisted in the United States Navy in 1982 and was honorably discharged in 1990. Butch retired from the City of Champagne, IL as a Network Engineer. Following retirement he reconnected with the love of his life, Laura Jean Grenier. He relocated to the Upper Peninsula late 2014. The couple was united in marriage on May 1, 2015. 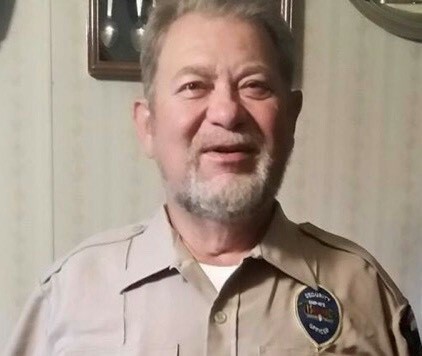 Brother: Mark Richard (Kim) Johnson Sr. of West Jefferson, N.C.
Mark Johnson Jr. of West Jefferson, N.C.
Family will receive friends Saturday, April 13, 2019 from 1:00 until 2:00 PM at the Skradski Funeral Home in Gladstone. Military Honors will be presented at 2:00 PM by the Gladstone American Legion at the Skradski Funeral Home in Gladstone. Butch will be laid to rest at Gardens of Rest Cemetery in Wells. The Skradski Family Funeral Homes of Delta County are assisting the Johnson family. I’m very sorry for your loss. I didn’t know Butch well, but he was always very kind to me. My prayers and condolences are with his wife, Laura, and his family. I was very sorry to hear of Butch’s passing. I worked with him at the City of Champaign. He was much appreciated as a good co-worker. He will be missed. My knowledge of “Butch” dates back to high school, over 50 years ago. By reading previous tributes, it sounds that Butch was much the same person that I knew – well-liked and dependable. I am sorry to hear of his passing and express my deepest sympathy to the family. RIP Butch. You were the love of my life for 45 years. We had 2 beautiful children together. You will be missed but you are in a better place. Prayers for my children and prayers for Laura and her family. So sorry to hear about Butch. I worked with him at the City of Champaign and we stayed in contact after I moved on to the University. He was a mentor and a friend and taught me a lot of what I know in the IT-world! I was always amazed by his outstanding troubleshooting skills. He could answer anyone’s question and could fix any piece of technology – but at times would mumble “I hate computers” under his breath. When my father became ill from Agent Orange, Butch was very supportive of my family and we are very grateful for that. He was a terrific guy and will be missed. My thoughts go out to his friends and family. Laura and family. So very sorry for your loss. Love and prayers to you at this difficult time. I will always miss you grandpa. I am going to miss watching old bruce lee movies with you and you telling me stories of my dad and chris. So very sorry to hear about Butch, he had always been such a good person. I have many fond memories of him in our high school years. Prayers for all of his family. May Gods love comfort you. I always would tell Butch he was my favorite Brother-in-law, he would laugh and say “I’m your only Brother-in-law”. I will miss him, as will his brother Mark, and our son, Mark Jr.(8 years old). For as long as he knew his uncle was sick, Jr would Pray to God to make him better, he adored his uncle. RIP BUTCH!!!! You will always have a special place in my heart. If you need anything Laura, just call! Love to all Johnson Clan! My sympathies to Butch’s family. He was a very kind man and great classmate. When he worked at The Island, my husband and I ate dinner with him. It was so nice to visit with him. Rest in peace, Butch.